The 2nd-gen Acadia was presented 2 years ago. Now paparazzi show a glimpse at the mid-cycle refresh. The places that have been upgraded featured camouflage. It looks like the Acadia will get an updated front end as well as headlamps and grille. The rear part will not be changed much, expect to see new taillamps and a revised bumper. The vehicle will receive power from the familiar engine offerings (a 2.5-litre V4 unit and a 3.6-litre six-cylinder. The 6-speeed automatic gearbox will be changed in favour of the 9-speed automatic developed in cooperation with Ford. 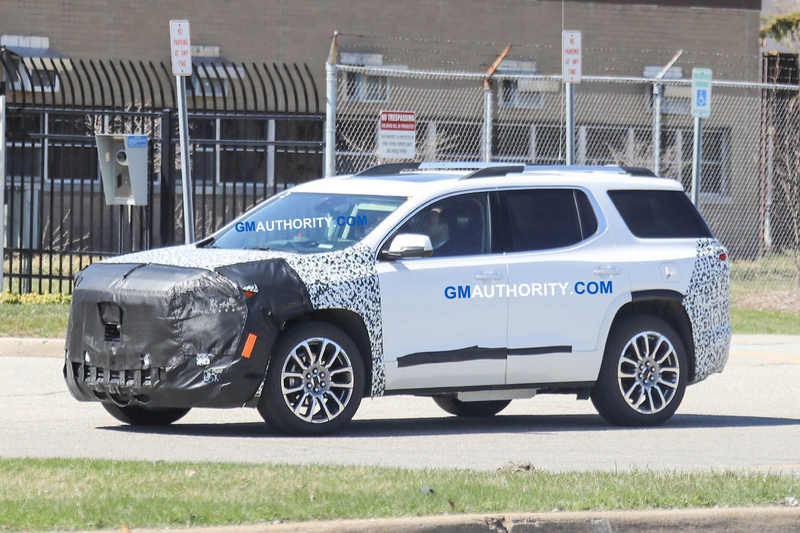 Expect the 2020 GMC Acadia to be presented at the beginning of next year.